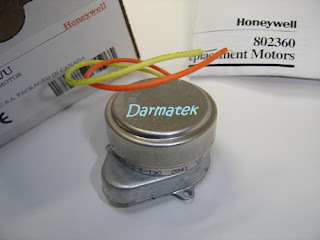 The Honeywell 802360 replacement motors are for use with V4043, fan coil valves and V8044 zone valves. 1. Read these instructions carefully, failure to follow them could damage the product or cause a hazardous con-dition. 2. Check the ratings given in the instructions and on the product to make sure the product is suitable for your application. 3. Installer must be a trained, experienced service technician.